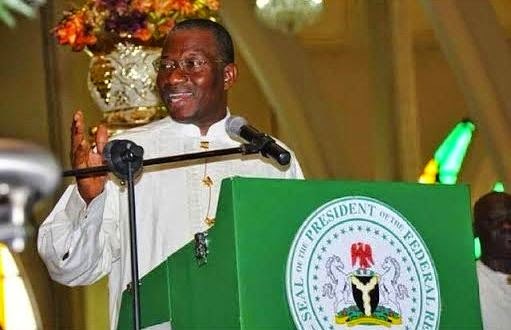 President Goodluck Jonathan on Sunday said that terrorism and kidnapping were still major national challenges because Nigerians had not united against them as they did against the Ebola Virus Disease (EVD). Jonathan made the statement at an inter-denominational church service at the National Ecumenical Centre, Abuja, to mark the country’s 54th Independence Anniversary coming up on Wednesday. He said the country was able to fight and defeat the deadly Ebola disease because Nigerians united against the virus irrespective of political persuasion, religion or ethnic origin. The president appealed for unity among Nigerians, noting that there was no problem or challenge that could withstand the force of a united Nigeria.
. “Take the case of Ebola for example; this is a good example all Nigerians must learn from. “When Patrick Sawyer brought Ebola to Nigeria, it was in Lagos that this incidence happened and in terms of politics, Lagos is an opposition party state but the central government is the ruling party. “From Lagos Ebola moved to Rivers State, also opposition party state. “But because all Nigerians fought Ebola irrespective of political persuasion, irrespective of religion, irrespective of ethnicity, as individuals we defeated the disease,’’ he said. 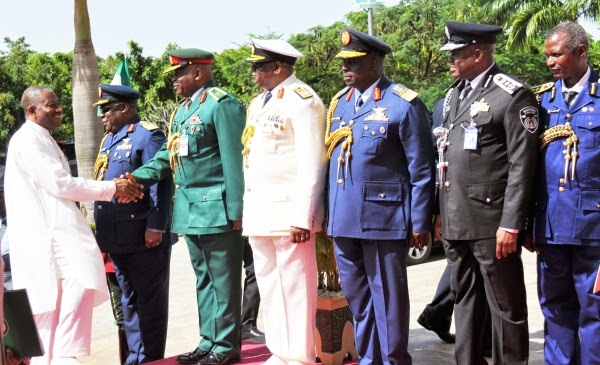 Jonathan commended the military and other security services for the successes they had recorded in the counter-insurgency operations despite internal sabotage. He noted that what the security agencies needed was the support and encouragement of all Nigerians to rid the country of terrorists and other enemies of the Nigerian state. The president frowned at inflammatory statements and utterances of some politicians and called for restraint in the interest the country. 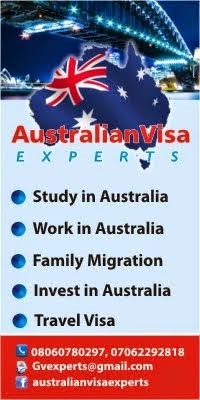 “We will not require people to come from heaven or other countries to solve our problems. What we require from our brothers and sisters is to encourage our military because it is not easy. “When people are sleeping in their houses at night, they are busy fighting. Bullets are not badminton rackets or something. “When I listen to some statements made by some people who call themselves leaders, I feel sad for the country. “We must believe that we do not have any other country outside of Nigeria,’’ he said. In his sermon, the President, Christian Association of Nigeria (CAN), Ayo Oristejafor, said that most of the challenges confronting the country were self-inflicted. He noted that corruption and terrorism, which he described as ‘the greatest’ problems facing the country were created by greedy politicians and extreme religious ideologists. According to him, corruption is fed by greed, which in turn is rooted in poverty mentality. He defined poverty mentality as the thinking that what one had was not enough. Oristejafor differed with the school of thought that terrorism was caused by poverty. According to him, terrorism is caused by extreme religious ideology. The CAN president, who based his message on Mark 4:35 to 41, said that Nigeria was a boat built by God that could never sink. He said that as Jesus calmed the storm that threatened the boat conveying Him and His disciples across Lake Galilee, God would take the country through its current challenges and restore peace to the land. Oristejafor warned trouble-makers to either repent and retrace their steps or be ready to face God’s judgment. The News Agency of Nigeria (NAN) reports that Hon. Justice Walter Onoghen, took the First Reading drawn from 1 Samuel 30:1-19. The Second Reading, taken from Mark 4:34-41, was taken by the President of the Senate, David Mark. 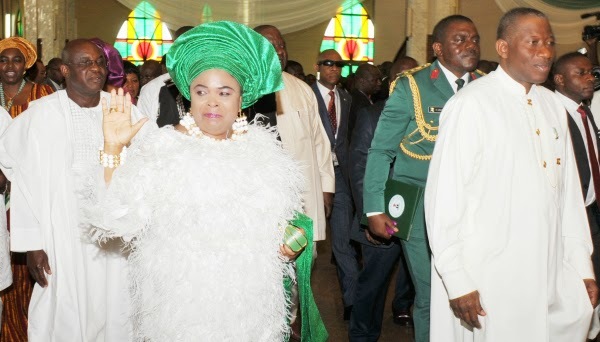 Other dignitaries who attended the service included the First Lady Patience Jonathan; the president’s mother, Eunice Jonathan and former military Head of State, Gen. Yakubu Gowon (rtd). Chief Ernest Shonekan, Head of the Interim National Government; top federal government functionaries, Service Chiefs, state governors, members of the clergy, among others, also attended the service.